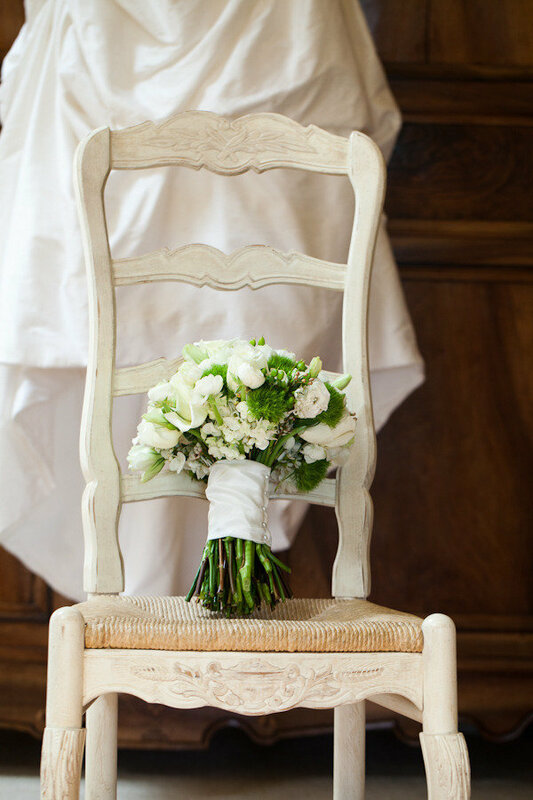 Like that little black dress in your closet, a simple, white wedding is always in style. Although the season is calling for reds and golds, this little wedding at The Farmhouse is breathtaking with its clean designs emboldened by a pop of color. The rich jewel tones of the wildflower centerpieces are eye catching, but not overly extravagant, making for a humble, but impressive display in their mason jar vases. 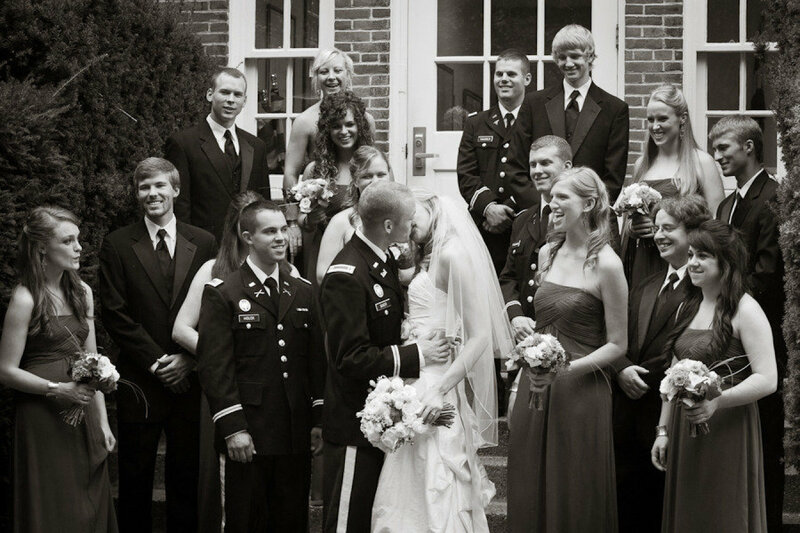 The overall purpose of a wedding should be the expression of love – from family members, from friends, between the bride and the groom. 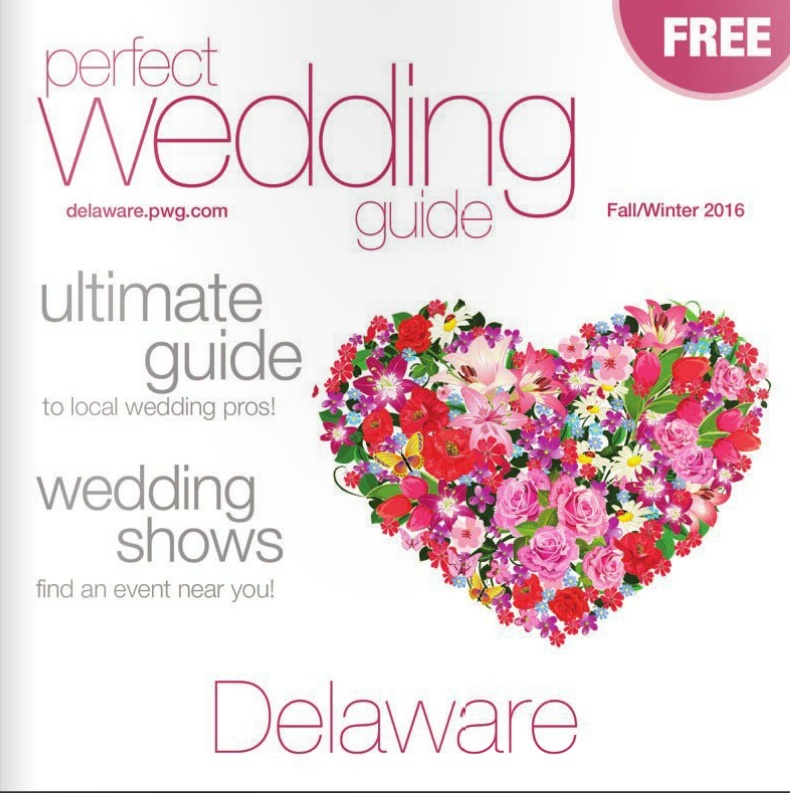 Really, without knowing, everyone takes part in what makes a wedding such an obvious expression of love, from the wedding party to the careful craft that goes into each detail that makes the event happen. Even though May has had its fill of dreary days, this Morning Cup of Wedding is here to show a little overcast isn’t going to cloud over this Delaware couple’s engagement celebration. In fact, Kristin and Andrew probably couldn’t have picked a better location for their shoot. The gorgeous green at Valley Garden Park was looking bright and refreshed after a good couple rain showers. Photography by Foschi took great advantage of this beautiful area and Kristin and Andrew’s natural cuteness to boot. Gotta love that close up photo. Oh! That ivy leaf ring photo is a great inspiration too! 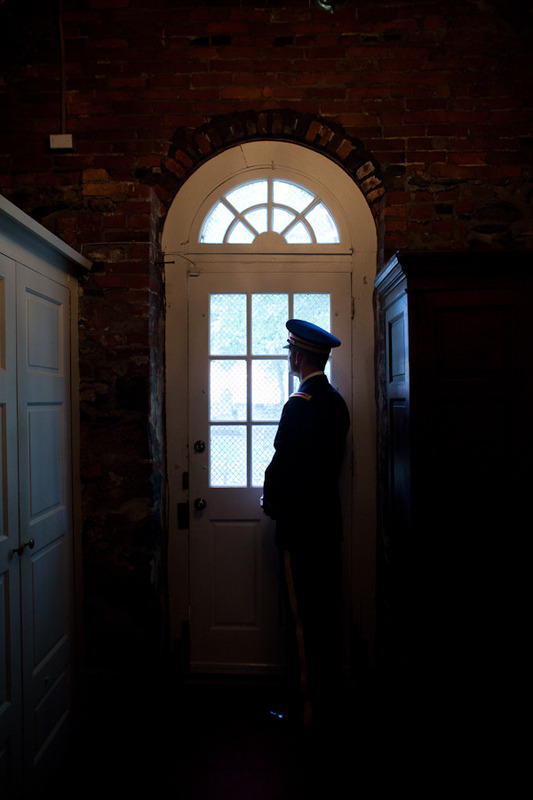 To learn more about Foschi Photography, follow the link below the photos. By this point you’ve had enough Morning Cups of Wedding to know that The Farmhouse is a quaint and beautiful venue. A hidden gem of Wilmington. 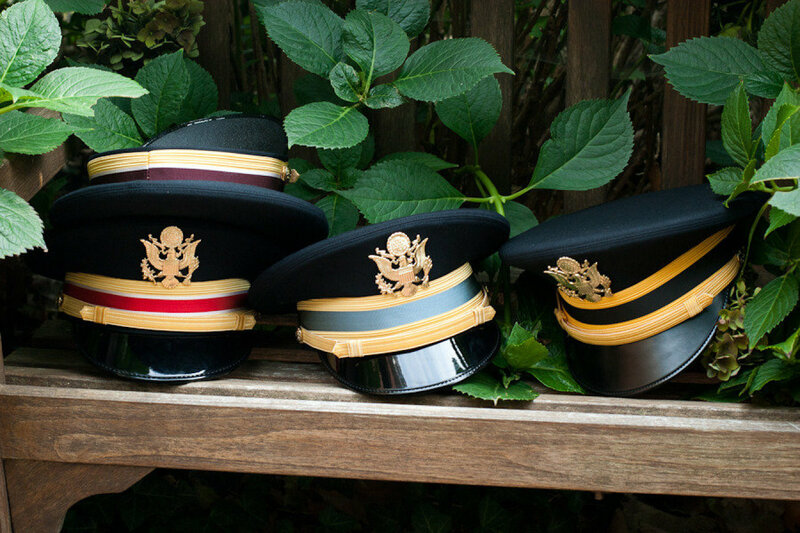 Happy Veterans Day from Morning Cup of Wedding! 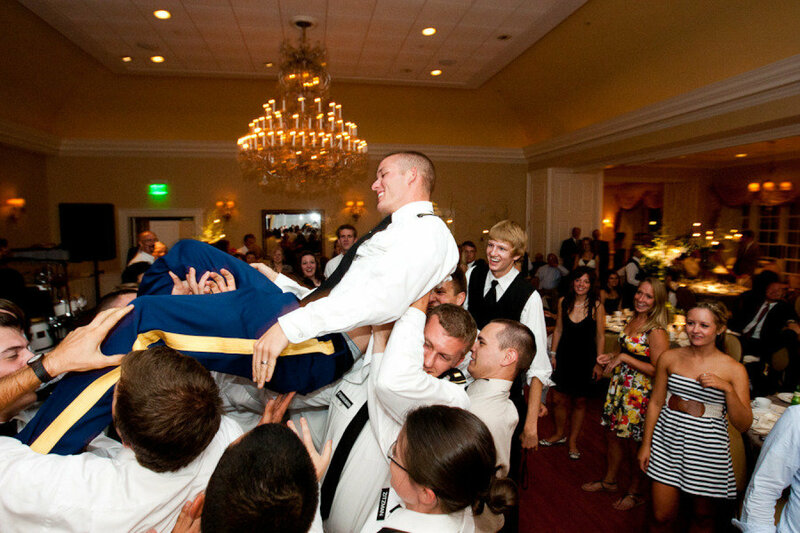 Military weddings have a certain spit and polish that seems to give them a special feeling. 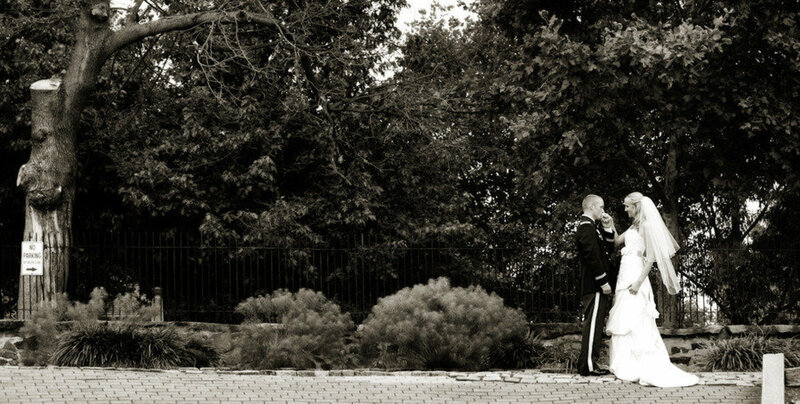 It could be the handsome men in uniform or maybe its the dedication military couples have and the strength their relationships show. 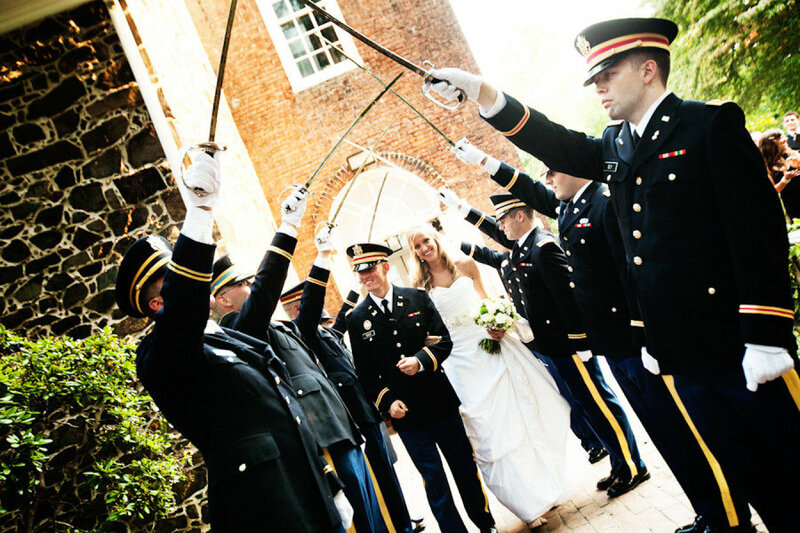 Lauren and John showed admirable commitment while juggling John’s military career, planning their wedding, and completing college five months after their engagement date. 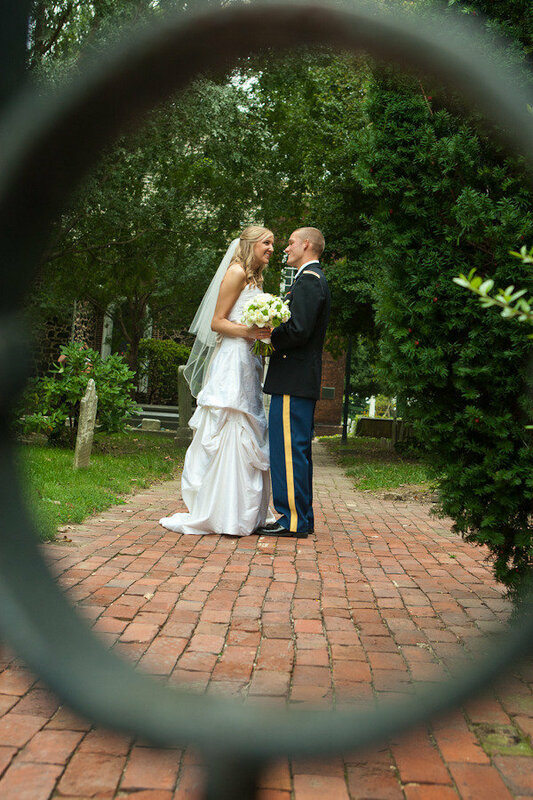 They were married in Wilmington at Old Swedes Episcopal Church which was captured beautifully by mk Photo. 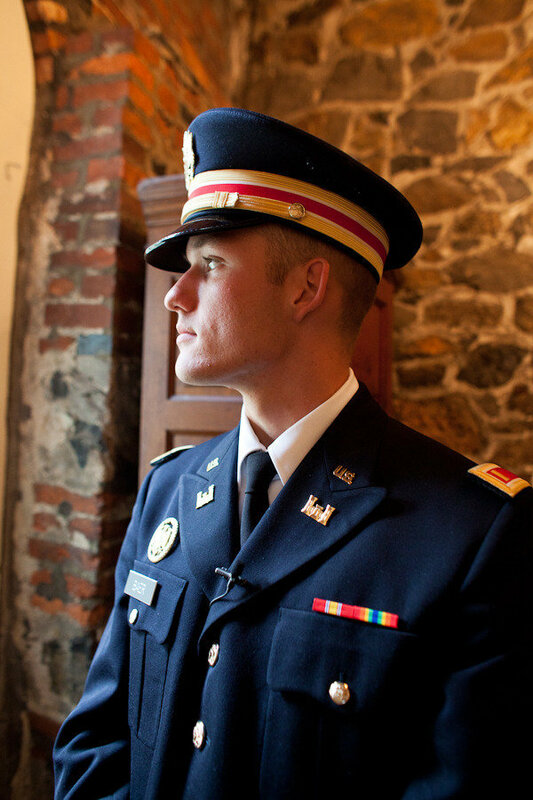 The flowers were by reliably classy Belak Flowers which the bride commented “added a wow-factor upon entering the ballroom.” Congratulations Lauren and John and happy Veterans Day! 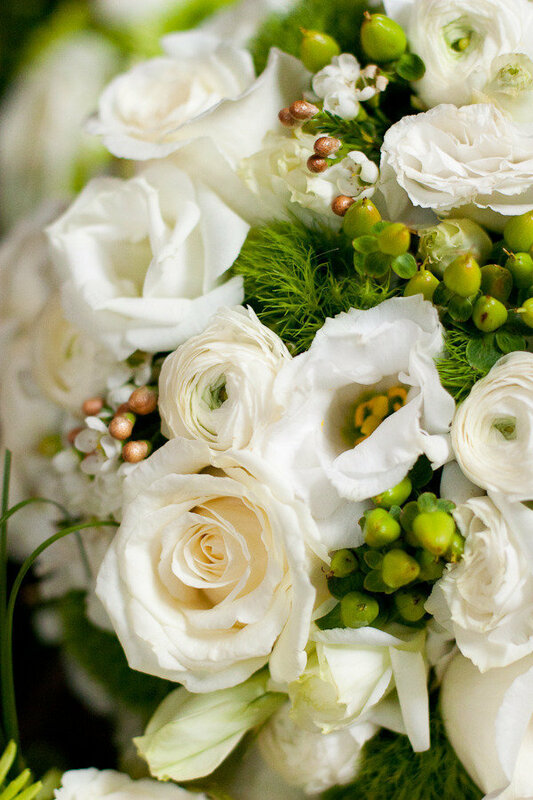 To learn more about Belak Flowers, follow the link here.